We are absolutely thankful for the ability to sell our candles in cute shops all over Minnesota. Selling in stores has allowed us to open up to a new group of customers outside of the Twin Cities and it has been a fun adventure for us. It is interesting to see how our products fit with each store’s flair, and what sells where. These stores are the kind of places we shop on our own time and we hope to tell you about them in case they could be new for you! One store we have been lucky to work with is Double Dutch in Duluth, Minnesota. Duluth is a few hours north of Minneapolis and has a great community. The town, although as landlocked as can be, almost feels like a small costal community because of beautiful Lake Superior and the smiley faces on the people. It is a tourist spot for many but I am also close with several born and raised Duluthians and they are sweet as can be. 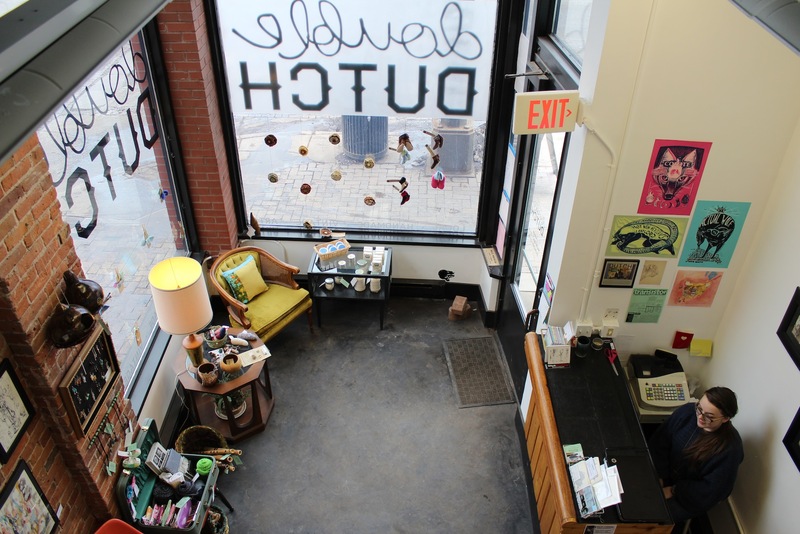 Taken from upstairs, you can see in this photo the cozy nature of the shop. Double Dutch opened recently in a corner building of a busy Duluth intersection. The store itself is a narrow open space with a small second floor balcony. 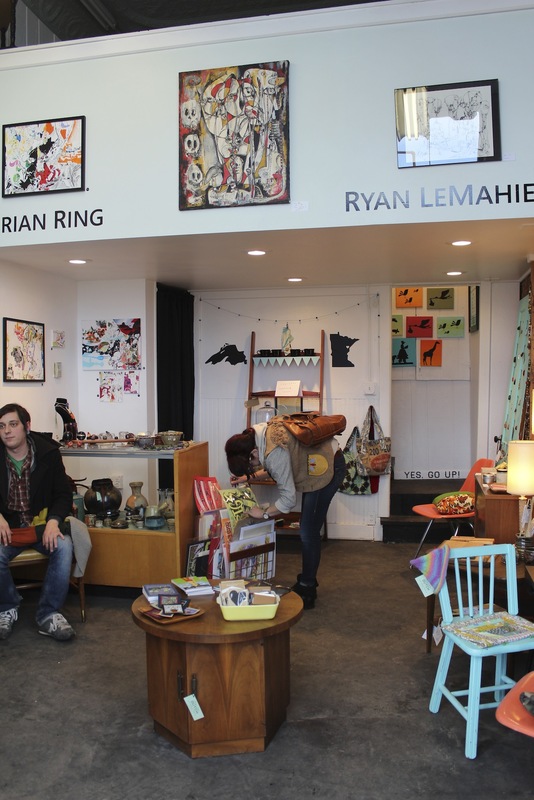 This store is packed with glorious handmade goods and vintage items. I kind of wish I could take all of its contents home to decorate my own house. 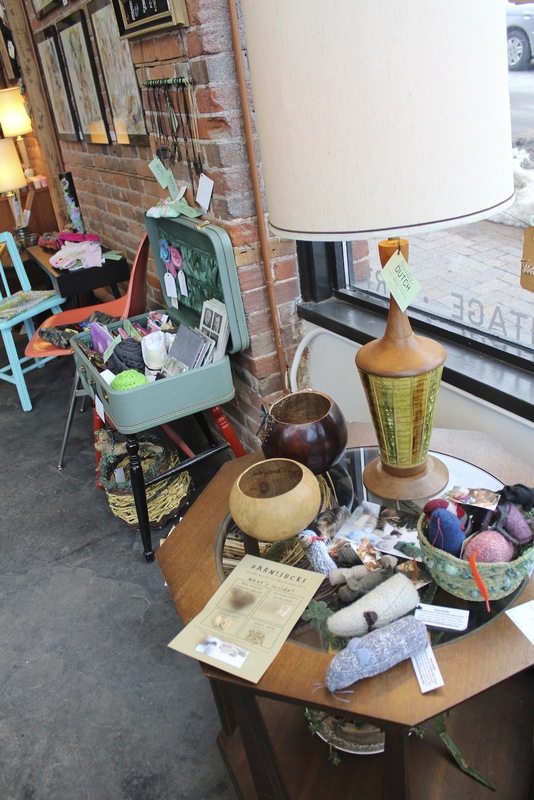 Double Dutch also reaches outside of the craft world with a good selection of Fine Art and even a section of locally written books. In the back of this photo you can also spot a local coffee and cupcake area, which is the cherry on top. 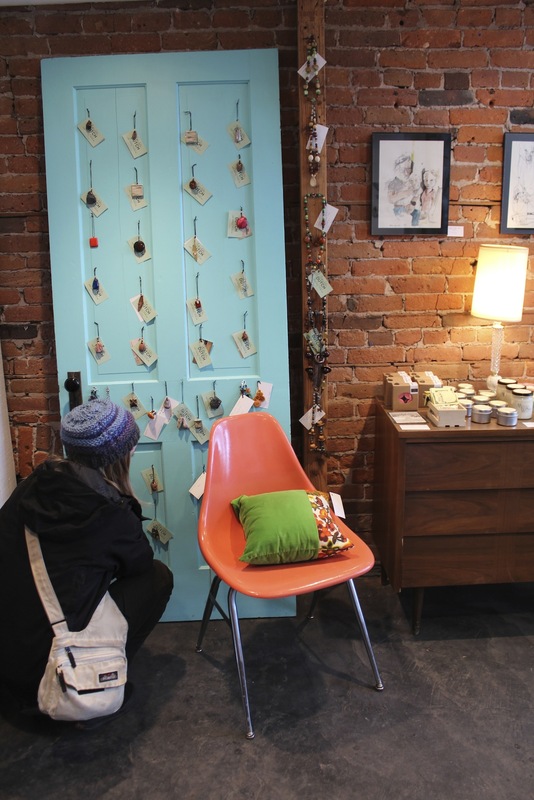 Don’t you love this blue door for a display? I’m a little crazy for keys and doors, so I might be biased (Note: you can see our candles on the right!). Have you been up to Duluth? If so, what are your favorite spots to visit? If it would stop raining in Minneapolis I might go outside and enjoy the summer! For now I’ll be daydreaming about heading north when the skies clear up. We took this picture of our beeswax candles without any packaging on them to show off how lovely the wax is. Last year we switched from using big name company beeswax pastilles to a locally harvested beeswax and we love our new wax! 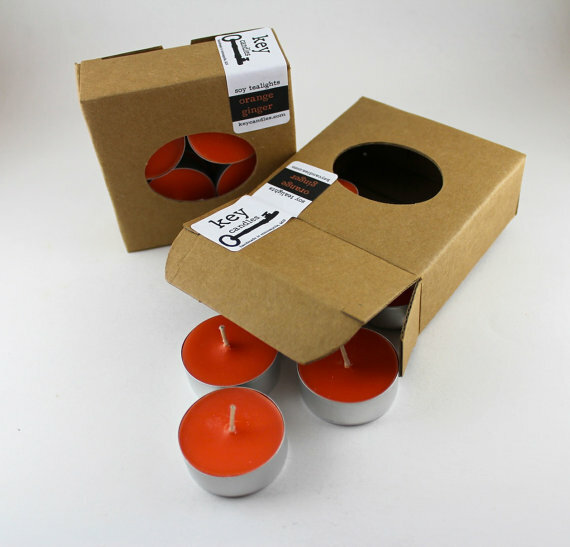 These candles have a golden glow and the fragrance is ten times stronger than the old wax. We also love supporting local farmers and beekeepers while we sell our work. Thank you bees, and thank you beekeepers of Minnesota! 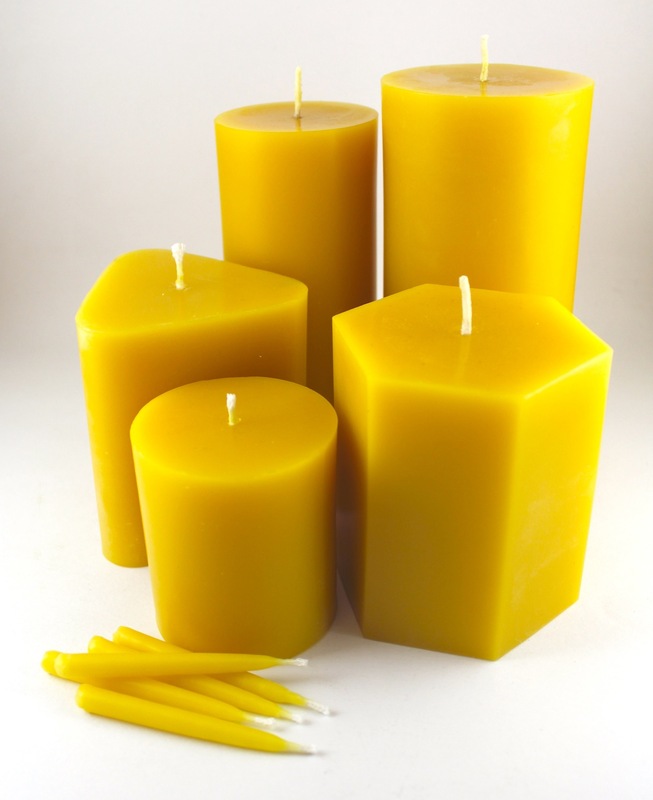 You can check out our beeswax candles for sale here. 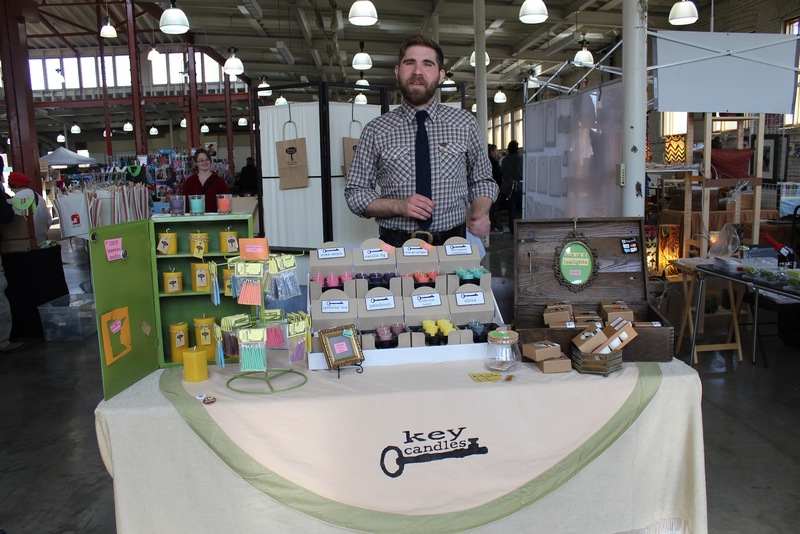 We just recovered from a great Crafstravaganza. 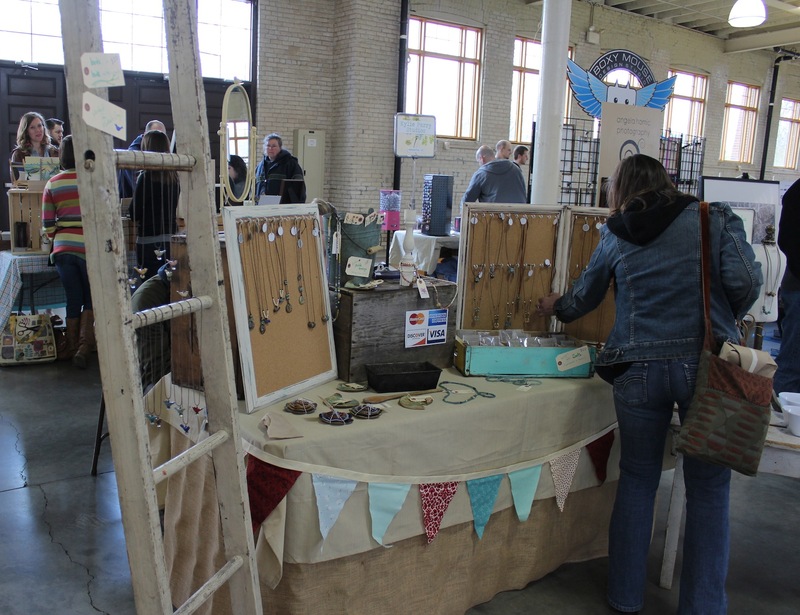 There are a few reasons why I love this show: 1) There are always new fun vendors each fair 2) The fair is held at the Minnesota State Fairgrounds and the building is beautiful 3) The Spring show is always held on Mother’s Day weekend. It was pretty fun to pick out shoppers and their Moms. It was a little chilly on Saturday but the sun was shining and there were many happy shoppers out and about. We tried a little bit of a new setup with our table for this show and we thought it went well. Jonny wore his neat denim tie that we got from A&D at the Unglued Craft Show back in February. Our table neighbor Florence Oliver has such a cute table display! My favorite thing that I saw at the show was actually this little metal refrigerator toy she displays her magnets in. Adorable stuff. A new vendor that I met at this show was over at Kylie Parry Studios where I found some interesting ceramic beads. So many jewelers use mass produced beads, I think it is really special to find handmade items like this. 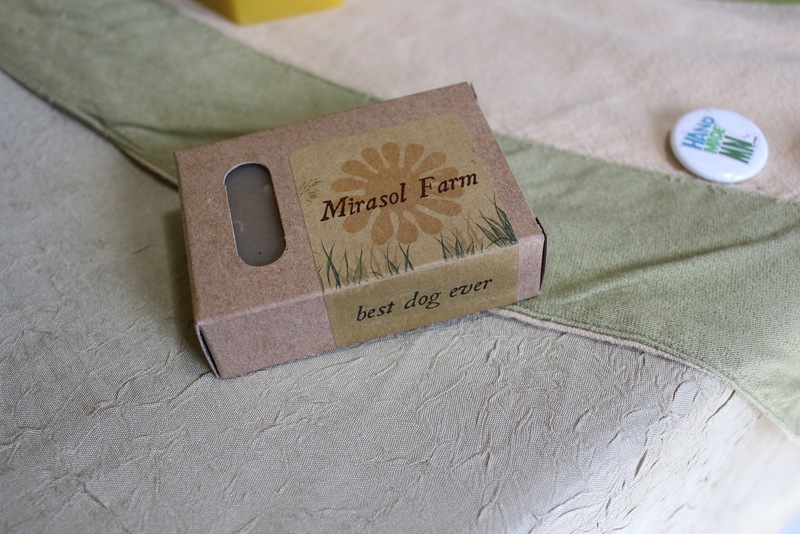 Unfortunetly neither of our Moms could be present at the Craftstravaganza show, but I did buy this for my Mom: Dog Soap from Mirasol Farm. My Mom swears by this soap for her pup and it smells awesome! 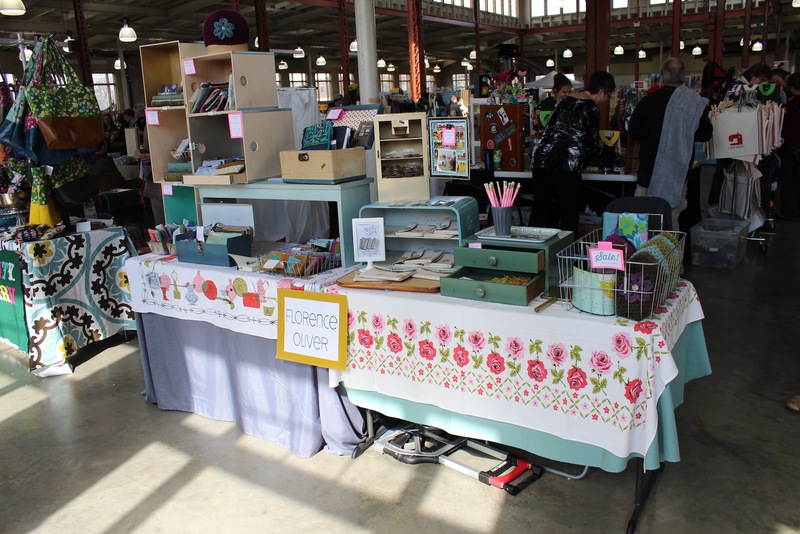 Thanks again to everyone involved with the Craftstravaganza Show! We have two new fragrances for you: Orange Ginger and Vanilla Fig. We tried many combinations before deciding what would scents would fit in best with our family of soy candles, and liked these the best! Check them out at our website. Candleholder Thursday! I (Audrey) have been traveling for work and I saw several amazing candle related things on my trip! I can’t wait to share them with everyone. This wall sconce caught my eye and I would love to have it in my home (not to mention that wallpaper). There is something creepy about the shape, since it kind of reminds me of a spine, but it is right up my decorating alley. I already use gold to accent several of my rooms so this would fit in wonderfully. Ball/orb/sphere candles can be pretty but they are a pain to make. We have made round candles in a variety of molds but there is always a problem. In a basic two part mold there is a blatant seam in the finished product. We have shave the seam and over dip it but after that there are always bubbles in between the new wax layer! We finally found a two part mold that is made of metal that works alright but it is so very hard to get apart. We have ruined many candles just trying to pry the pieces apart. It hasn’t been worth it. We hope to sell spherical candles again soon once we can make one up to our standards. 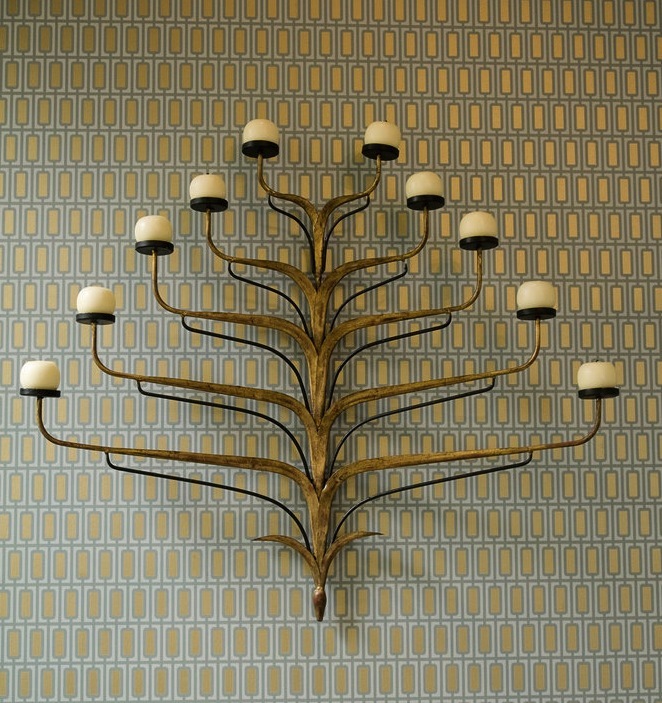 I found a photo of this incredible sconce on this weird website but I cannot find the maker! If you have seen it before or have any information please let me know so I can give proper credit.